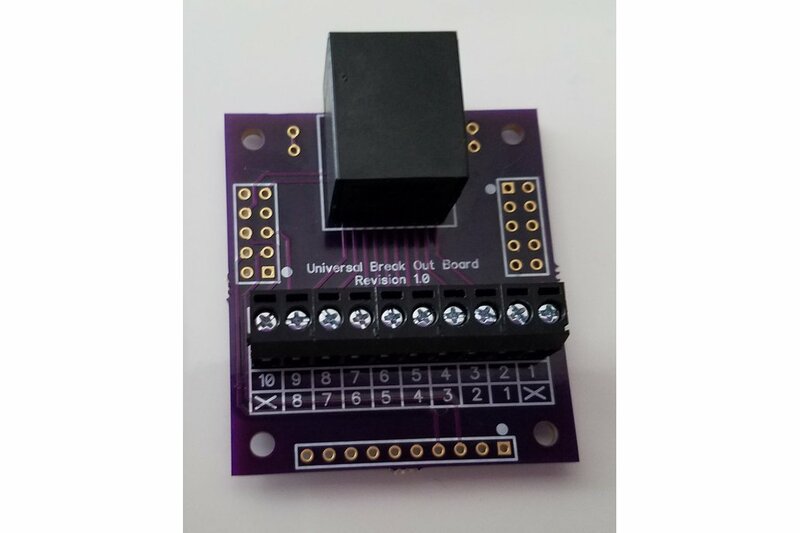 UBOB, the Universal Breakout Board is a fun little board that breaks out the signal lines for RJ45 (8p8c) and RJ50 (10p10c) cables. Can be used to break out both RJ45 and RJ50 cables. The board shows break outs for both. 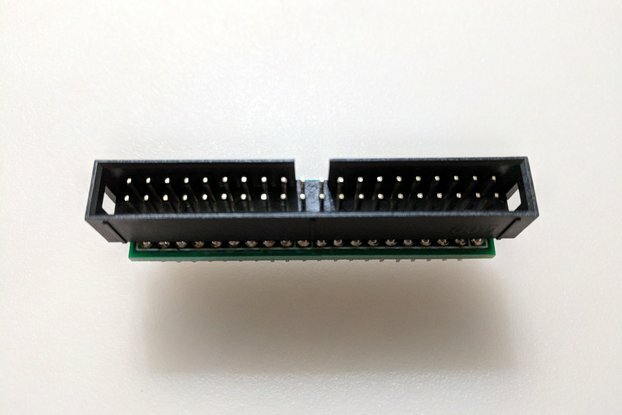 Can add two 2 x 5 2.54mm IDC headers to translate between RJ45/50 cables and ribbon cables. 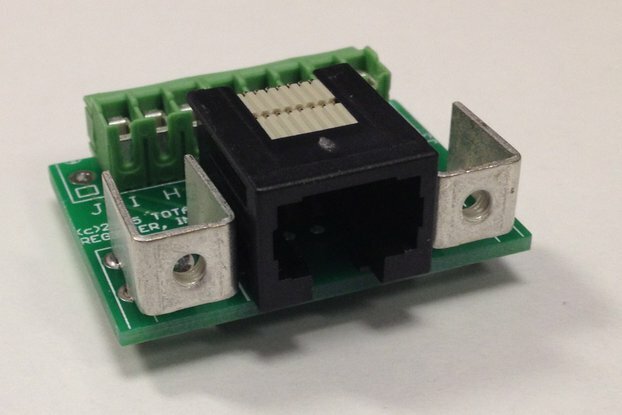 One 1 x 10 2.54mm header allows connections to Sainsmart relays, prototyping boards and more. Provided as a DIY kit only. 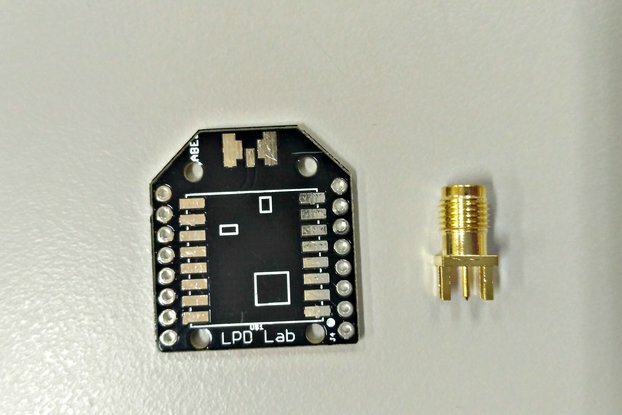 I wasn't particularly happy with the other breakout boards I was using. 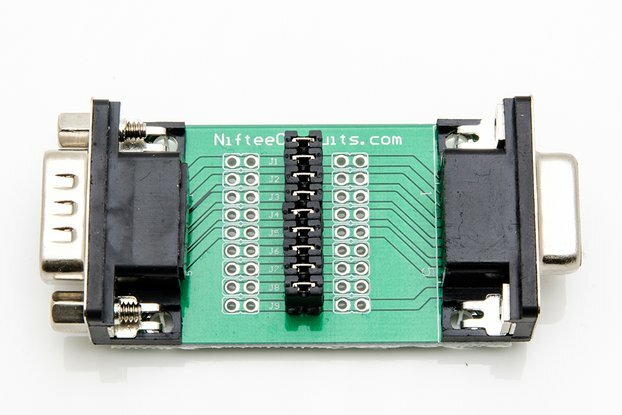 Existing breakout boards for plugging an RJ45/50 jack into a prototype board were not mechanically strong. Then I found I was buying different types of boards for different applications. 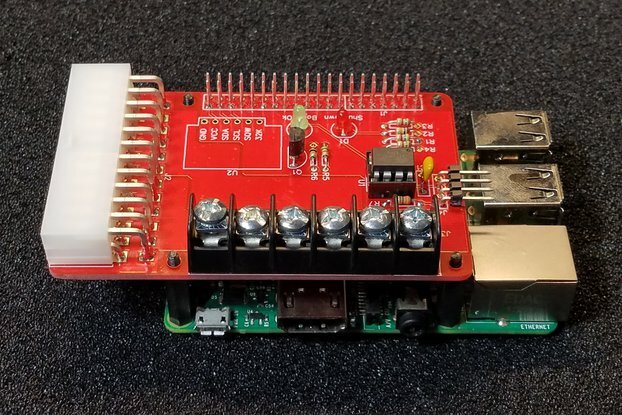 Finally, I really didn't have a good solution for connecting my Sainsmart relay boards to my Raspberry Pi or my Mini I/O extender boards. So, I decided to create my own board that would do it all. 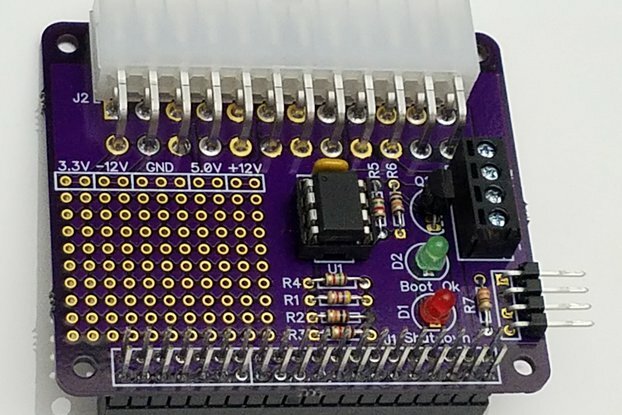 The Universal Breakout Board is simple but allows for a lot of versatility in bridging different cabling needs. You can go from single wires to a ribbon cable or RJ45/50 cables.